Apple’s CarPlay will bring the power of iOS to your car’s infotainment system, but the company may have more ambitious plans for the new technology moving forward. 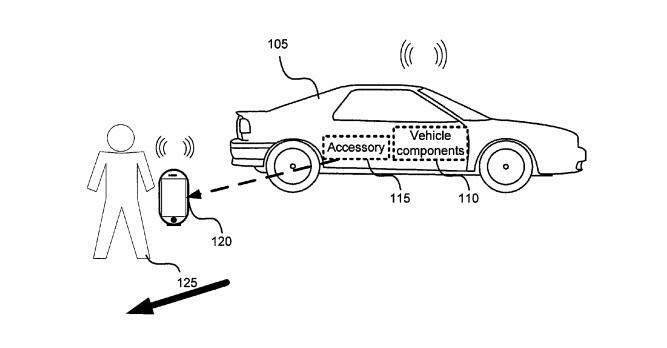 A patent granted to the firm on Tuesday reveals how Apple may one day turn your iPhone into a remote control for your car. 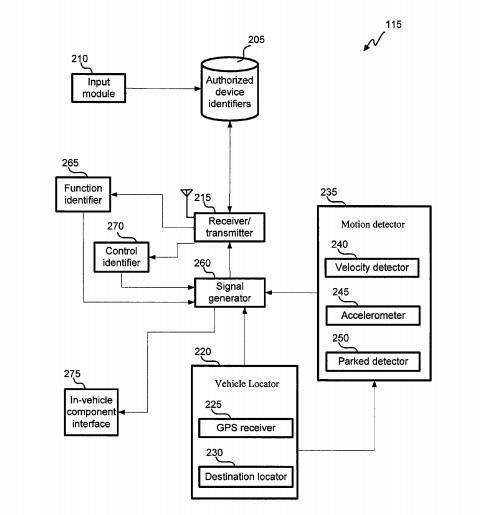 The patent, which was actually filed back in June 2012, details how your iPhone could communicate with a Bluetooth accessory in the car. There’s nothing new about controlling your car from far away, but Apple’s approach takes things a step further. Using Bluetooth, your iPhone could automatically activate certain functions in the car as you walk towards it without ever needing to take the phone out of your pocket. 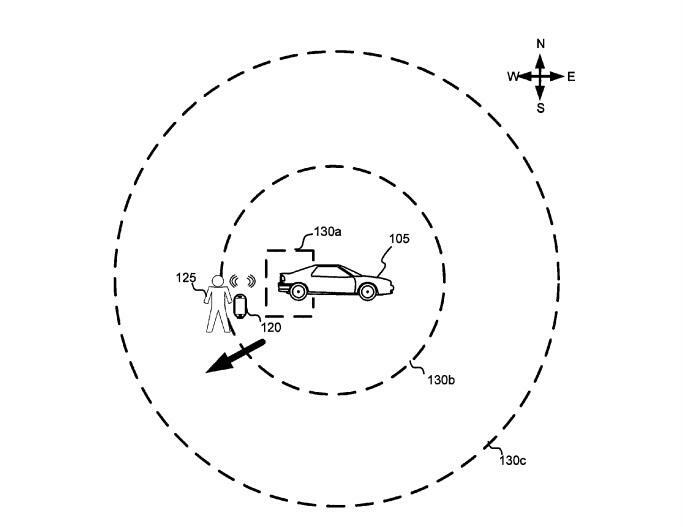 Apple describes a series of Bluetooth rings around your car. 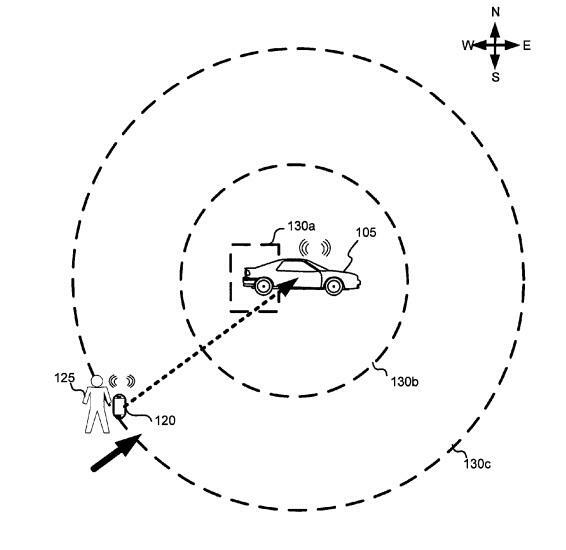 As you pass through each one, your iPhone could send a pre-determined order to your car. For example, the car could turn on from further away, while the trunk would only pop open if you walked right up to it. The same technology could also be used as a safety feature, blocking the car from starting up until it confirms you’re sitting in the driver’s seat. 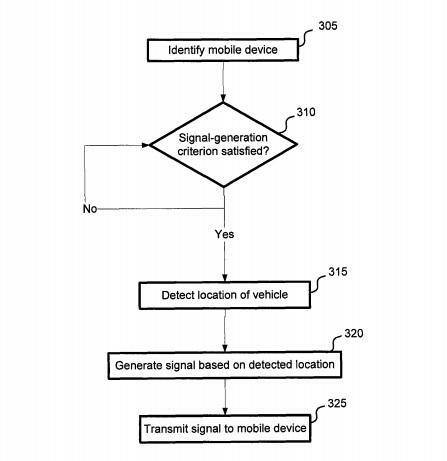 Finally, the patent hints at how Apple could use a cellular signal to control your car from further away. Specifically, you might want to send an order to cool down or heat up the interior so it’s nice and comfy by the time you get to the vehicle. Of course this is just a patent, and there’s no guarantee Apple will ever make good on these ideas. With CarPlay rolling out it shouldn’t be too hard to add a simple Bluetooth receiver, even if all it does for now is let you unlock your car from a distance.